We participated in the launch of the historic, first-of-its-kind Gap App Prototype Launch event run by Innovate NYC Schools and facilitated by 4.0 Schools. 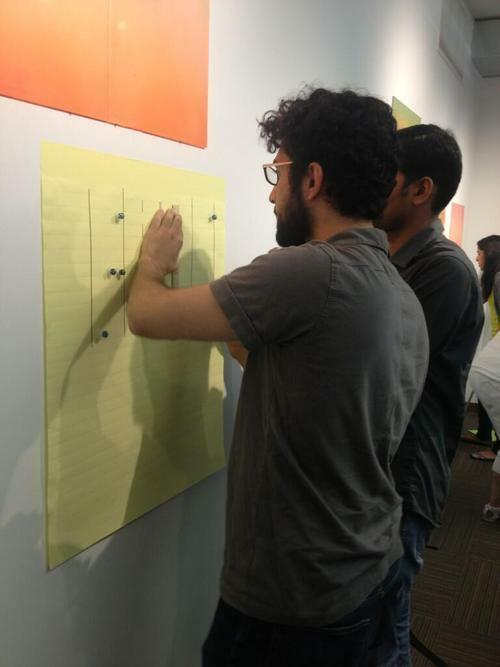 Earlier in the Spring of this year, Innovate NYC Schools launched the first ever NYC Gap App Challenge. The goal of this initiative was to challenge software developers to build technology tools that would “enhance math teaching and learning”, and improve engagement amongst students in NYC’s middle schools. The competition garnered attention amongst software developers and educators across the country, and nearly 200 different tools were submitted. Although Tuva didn’t win the competition, we were one of the twelve finalists selected by the judging panel to begin an extensive collaboration with one iZone middle school for the course of the entire 2013-14 school year. The goal is to work closely with the teachers and students to implement Tuva in their classroom, see what is working, what is not working, and continuously improve Tuva. Needless to say, this is a fantastic opportunity for us and we are honored to be participating in the second part of Innovate NYC’s Gap App Challenge. We are tremendously excited to be working with three math teachers from IS 228 (Go Brooklyn!). Over the course of the weekend, we got an opportunity to learn more about the school and classroom environment of IS 228, and can’t wait to begin collaborating and working with them for the rest of the year. 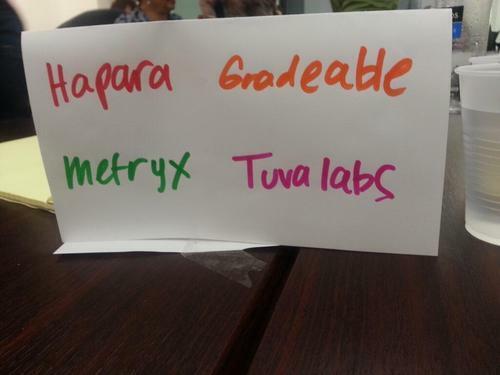 We were grouped with some awesome other companies including Hapara, Gradeable, and Metryx. Ben and J hard at work building a sketch of a (theoretical) new GPRS system for NYC taxis to increase the safety of Citibikers in NYC. Author Harshil ParikhPosted on September 24, 2013 June 2, 2016 Categories UncategorizedTags Company NewsLeave a comment on Gap App Prototyping Launch!